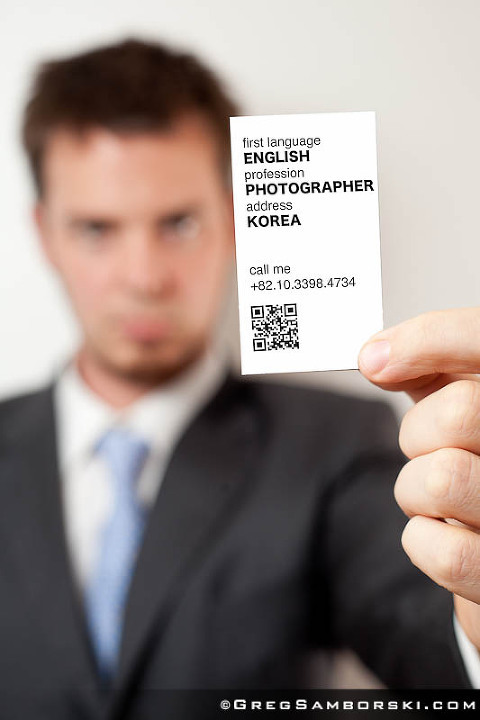 Searching for a native English speaking photographer in Korea? Communication is essential to getting great photos, that’s not just my opinion, have a look at these testimonials. I will travel to Seoul, Busan, Gwangju, Daegu, Daejeon or anywhere in between to photograph your event, product, wedding or engagement. ps. Don’t forget to have a look around! Hi Greg, I looked at your photos and they look great! My fiancee and I are interested in taking our photos taken. Im 6 months pregnant. Would love to hear back soon. Thanks for getting in touch. I’ve sent you an email with pricing and package options. Sounds interesting. I’ve sent along some follow up questions via email so I can get a better idea of what you need for your portfolio. We make industrial equipment in Cheng Won, near Busan. We want someone to go to the factory and take professional photos to showcase our equipment. Its probably 1/2 day, plus drive time. Could you help us? I certainly can help you. I’ve emailed you with my rates and availability. I was wondering if I could get an email forwarded with your going rates. I’m dabbling with the idea of shooting something over vacation soon, but if it’s too soon notice for a shoot/test, I happen to visit SK often enough that I might like to arrange something for the future if all works well. I’m imterested in a photo shoot on our honeymoon in October 19-22. Thanks for getting in touch. I would love to photograph part of your honeymoon. I’ve sent you an email with all the information on my packages and pricing. I look forward to discussing further with you. Thinking of coming to Seoul on vacation with my wife. We are in the fashion industry and would like to bring some of our clothes that we have produced and do a photo shoot at some interesting sites. If you have some pricing and suggestions that would be most appreciated? Looking at around 2nd week March 2016 possibly. hi i want to have a small couple shoot.